It’s been a rocky start for this new item. For the second time in two days, Epic Games has decided to disable one of the newest consumable items in Fortnite: Battle Royale. The Shadow Stones were temporarily disabled again Friday night due to an unspecified issue, Epic announced on Twitter. Due to an issue with Shadow Stones, they have been temporarily disabled. When they were in the game, the Shadow Stones could be found in the “corrupted” areas of the map. Players could consume these mini-cubes to activate “Shadow Form,” which allows you to turn invisible while stationary, provides a boost in movement speed and jump height, and grants immunity to fall damage. Although the issue with Shadow Stones is unclear at this time, the item was initially disabled from the game yesterday at 4:27pm CT. Earlier today, however, Shadow Stones were re-enabled at 10:36am CT, at the same time as the Port-a-Fortress was temporarily removed from Fortnite. 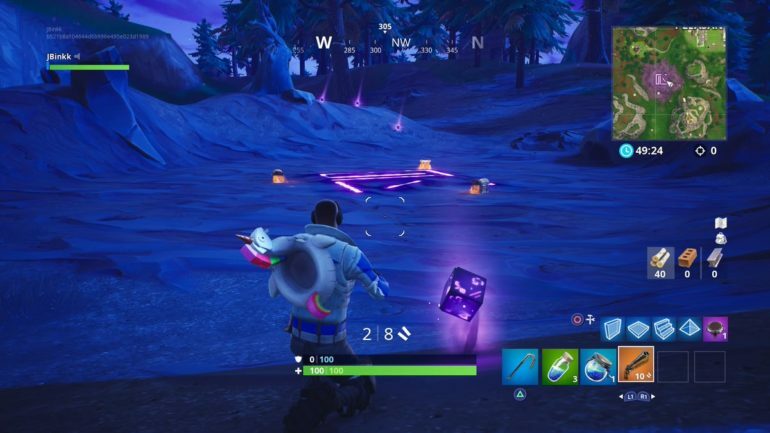 But less than 12 hours later, the Shadow Stones have been disabled once again. Fortnite fans should expect that Epic will work vigorously to try to find a solution for the issue plaguing this new item.